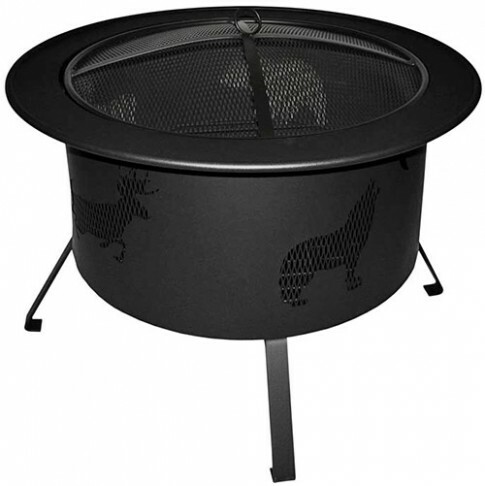 Compact and portable, this 30" wood burning fire pit can make any outdoor event with friends and family memorable. Made with cold-rolled steel and powder coated with high temperature paint, this wood burning fire pit will provide many years of enjoyment. The wildlife cut outs add the fun to any outdoor event. Made in the USA.